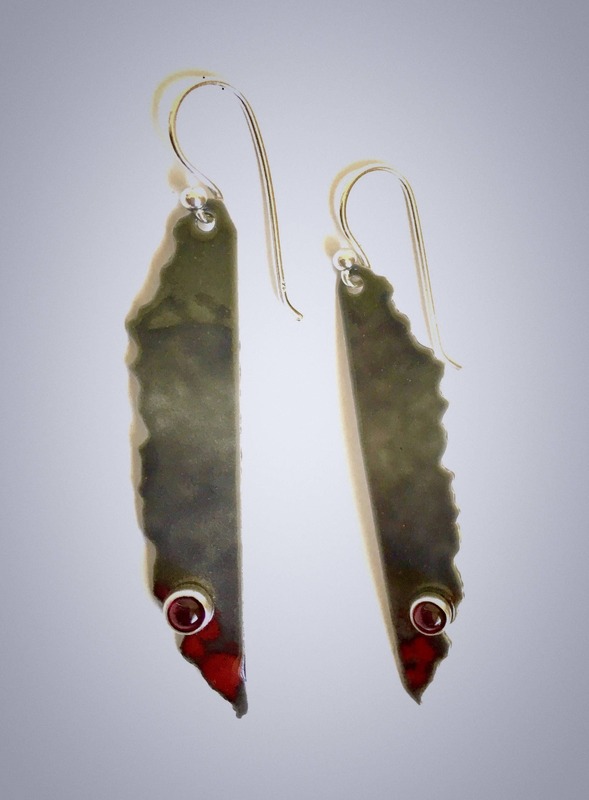 Striking drop earrings feature vitreous grey & red translucent enamel on Fine Silver. Adorned with two Garnet cabochons bezel set in Sterling Silver. Sterling earwires. Total length is 2 3/8”.